Liev Schreiber is an American actor, director, producer, and screenwriter. Check out this biography to know about his birthday, childhood, family life, achievements and fun facts about him. Isaac Liev Schreiber, professionally known as Liev Schreiber, is an American actor, director, producer, and screenwriter. He became popular in the late 1990s and early 2000s with his performances in independent films as well as mainstream Hollywood flicks. During his school days, he intended to become a playwright, but one of his teachers encouraged him to take up acting as a career. 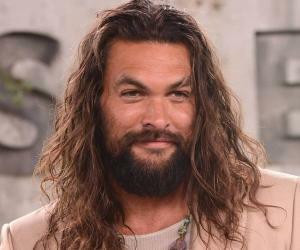 As an actor, he has worked on a variety of projects—from stage productions to small independent films to big-budget movies to television series. 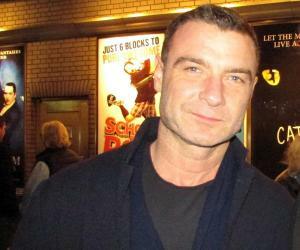 Liev started his acting career as a stage artist and performed in several Broadway as well as numerous off-Broadway productions, winning the Tony Award for Best Featured Actor in a Play. Next, he established himself in independent films before moving on to mainstream movies and television series, earning Emmy and Golden Globe award nominations. He is a proficient Shakespearean actor, and has performed at the New York Shakespeare Festival. His performances in many Shakespearean plays have been critically acclaimed. His directorial debut started with ‘Everything Is Illuminated’, a biographical comedy film, which received mixed response. He has also narrated a number of documentaries and has provided his voice to a several projects. Isaac Liev Schreiber was born on October 4, 1967 in San Francisco, California. His mother Heather Milgram is Jewish and has good knowledge of classical music and Russian literature. His father, Tell Carroll Schreiber, comes from a wealthy Protestant family. He is a stage actor and director. Liev has half-brothers from his mother’s first marriage. 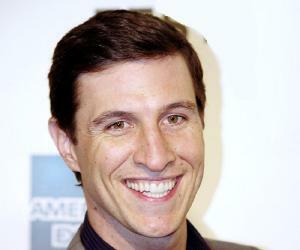 Actor Pablo Schreiber is his half-brother from his father’s side. At the beginning of his parents’ marriage in San Francisco, his mother was heavily dependent on LSD, and was repeatedly hospitalized and also underwent therapy. When he was a toddler, his family moved to Canada. When his father threatened to admit his mother to a mental hospital for her LSD problems, she left him and took Liev with her. However, with the help of private detectives, his father could track them down. When Liev was three, his father even kidnapped him from a place in New York, where Heather stayed. When Liev was four, he was still with his mother, living in a dilapidated building in New York City. Later, his parents got entangled in a custody battle over him, and his maternal grandfather, Alex Milgram, became bankrupt fighting the custody battle. His parents divorced when Liev was five, and his mother won his custody. They moved into a cheap apartment in Manhattan, and he was enrolled in Joffrey Ballet School of New York. He was raised in poverty, sleeping on the floor with no electricity and no hot water in the apartment. His mother earned a living by driving a cab and making papier-mâché puppets. At times, he had to endure his mother's eccentricities and bohemian bent of mind. She even forced him to go to an ashram school when he was 12 and made him wear yoga shirts. He was not allowed to see color movies, so Charlie Chaplin and Basil Rathbone remained his favorite actors for a long time. In the late 1970s, Liev, who was then called Shiva Das, lived at the Satchidananda Ashram in Connecticut, and was on a vegetarian diet. When he went to Brooklyn Tech High School, he played the bass clarinet. He also attended Friends Seminary in Manhattan. He went to Hampshire College in Amherst, Massachusetts, and also attended University of Massachusetts Amherst where he studied acting. There he played Antonio in the play ‘The Merchant of Venice’. In 1992, he graduated from the Yale School of Drama with a master's degree. While in the school, he performed in ‘The Size of the World,’ directed by Walton Jones. He also attended the Royal Academy of Dramatic Art in London. Liev Schreiber worked with the Public Theater's New York Shakespeare Festival during the initial phase of his career. Critics highly praised his performances in ‘The Tempest’ in 1995; ‘Macbeth’ and ‘Cymbeline’ in 1998; and ‘Hamlet’ in 1999. The New York Times praised his performance in ‘Cymbeline’, and closed the article by saying, “More Shakespeare, Mr. Schreiber”. He also received rave reviews for his title role in ‘Hamlet’. His big break in films came in 1996 when he portrayed the accused murderer Cotton Weary in the ‘Scream’ series of horror films. The success of the ‘Scream’ trilogy opened up new opportunities for him, and he was subsequently offered roles in several big-budget movies. In 1996, he also appeared in the independent film ‘Walking and Talking’, the independent drama film ‘The Daytrippers’, and the comedy drama film ‘Big Night’, directed by Campbell Scott and Stanley Tucci. He did a supporting role in Ron Howard's crime thriller ‘Ransom’. In 1999, he played Orson Welles in ‘RKO 281’, an HBO original movie. 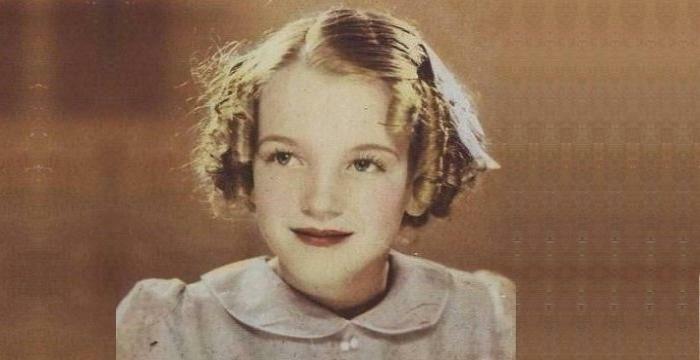 This was followed by some supporting roles in films like ‘The Hurricane’ and ‘A Walk on the Moon’. In 2000, he was cast as Laertes in the film version of ‘Hamlet’, a modern adaptation of the play. In the 2001 romantic comedy film ‘Kate and Leopold’, directed by James Mangold, he played the ex-boyfriend of Meg Ryan’s character. In 2002, he was cast as C.I.A. super spy and murderer John Clark in the film ‘The Sum of All Fears’. That year, he was also cast in Neil LaBute's play ‘The Mercy Seat’, which became critically and commercially successful. He played the title role in the play ‘Henry V’ in 2003. The New Yorker magazine praised his talent for playing Shakespearean characters. In 2004, he was featured in the political thriller ‘The Manchurian Candidate’, which also included Denzel Washington and Meryl Streep in the cast. In 2005, he wrote and directed his first film ‘Everything Is Illuminated’, a biographical comedy film, based on Jonathan Safran Foer’s novel of the same name. The film received mixed reviews. In 2006, he played the title role in ‘Macbeth’ at the Delacorte Theater. That year, he also appeared as Robert Thorn in the supernatural horror film ‘The Omen’. In the 2008 film ‘Defiance’, he was cast as Zus Bielski, a Jewish resistance fighter, along with Daniel Craig. In 2009, he played the villain, Victor Creed/Sabretooth, in the Marvel Comics film ‘X-Men Origins: Wolverine’. In 2010, he was cast in the Broadway revival ‘A View from the Bridge’, which earned him a Tony nomination for Best Leading Actor in a Play. Written by Arthur Miller, it was first staged in 1955. In 2011, although he had shown his interest in returning for ‘Scream 4’ as Cotton Weary the fourth time, he was eventually not cast in the film. He played the title role in the television series ‘Ray Donovan’, which was aired on Showtime in 2013. He portrayed a professional ‘fixer’ for celebrities who were involved in crime. The series became popular and was acclaimed by critics. Liev Schreiber won several Golden Globe and Emmy nominations for his performance. He played the Russian chess grandmaster Boris Spassky in the 2004 biographical drama film ‘Pawn Sacrifice’. It is based on the real life story of Bobby Fischer's challenge against Soviet chess grandmasters, leading to the 1972 World Chess Championship match with Boris Spassky. He was featured as Martin Baron in the 2015 biographical drama film ‘Spotlight’, which earned him five awards. The film itself received over 100 industry and critic awards and nominations. Directed by Tom McCarthy, the film was included in many critics' list of Top Ten Films of 2015. In 2017, he provided his voice to the Storm King in the animated musical fantasy comedy film ‘My Little Pony: The Movie’. He was involved as a part of the ensemble cast in the animated film ‘Isle of Dogs,’ written, produced and directed by Wes Anderson. It premiered at the 2018 Berlin International Film Festival in February. He was also cast as Kingpin in the animated movie ‘Spider-Man: Into the Spider-Verse’, which is currently in production. 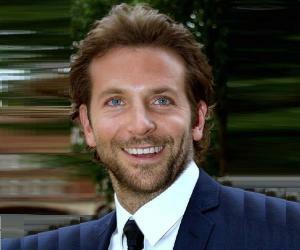 He will be seen in the upcoming romantic comedy film ‘A Rainy Day in New York’, written and directed by Woody Allen. It also stars Timothée Chalamet, Selena Gomez, Elle Fanning, Jude Law, and Diego Luna. 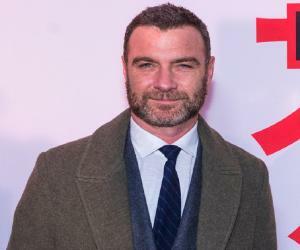 Liev Schreiber’s performance in the historical drama film ‘RKO 281’ received rave reviews and earned him Emmy and Golden Globe award nominations. Directed by Benjamin Ross, it also starred Roy Scheider, James Cromwell, John Malkovich, Melanie Griffith, and Liam Cunningham. Based on a real story, the film narrates the struggles of Orson Welles, played by Liev; RKO studio head George Schaefer, played by Scheider; and screenwriter Herman Mankiewicz, portrayed by Malkovich, in making the popular film, ‘Citizen Kane’. His performance as Richard Roma in the 2005 play ‘Glengarry Glen Ross’, earned him a Tony Award for Best Performance by a Featured Actor in a Play. It was the Broadway revival of David Mamet's play which had won the Pulitzer Prize in 1984. The play ‘Glengarry Glen Ross’ revolves around how four Chicago-based real estate agents are desperate to sell real estate to the buyers by indulging in unethical and even illegal activities. The play won a total of three awards and six nominations. Their first son, Alexander Pete, was born in 2007. Their second son, Samuel Kai, was born in 2008. After 11 years of togetherness, the couple separated in 2016. In 2006, he was invited to join the Academy of Motion Picture Arts and Sciences.